This paper presents comparative studies on different numerical methods like method of moments (MOM), Boundary Element Method (BEM), Finite element method (FEM), Finite difference method (FDM), Charge Simulation method (CSM) and Surface charge method. The evaluation of the capacitance of various structures having different geometrical shapes is importance to study the behavior of electrostatic charge analysis. The MOM is based upon the transformation of an integral equation, into a matrix equation by employing expansion of the unknown in terms of known basis functions with unknown coefficients such as charge distribution and hence the capacitance is to be determined. To illustrate the usefulness of this technique, apply these methods to the computation of capacitance of different conducting shapes. 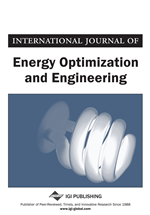 This paper reviews the results of computing the capacitance-per-unit length with the other methods. The capacitance of charged conducting plates is reviewed by different methods. When the complexities of theoretical formulas make analytic solution intractable, we resort to non analytic methods, which include (1) graphical methods, (2) experimental methods, (3) analog methods, and (4) numerical methods. Graphical, experimental, and analog methods are applicable to solving relatively few problems. Numerical methods have come into prominence and become more attractive with the advent of fast digital computers. The most commonly used simple numerical techniques in EM are (1) moment method, (2) finite difference method, (3) finite element method and (4) charge simulation method. Most EM problems involve either partial differential equations or integral equations. Partial differential equations are usually solved using the finite difference method or the finite element method; integral equations are solved conveniently using the moment method. Although numerical methods give approximate solutions, the solutions are sufficiently accurate for engineering purposes. We should not get the impression that analytic techniques are outdated because of numerical methods; rather they are complementary. Every numerical method involves an analytic simplification to the point where it is easy to apply the method.